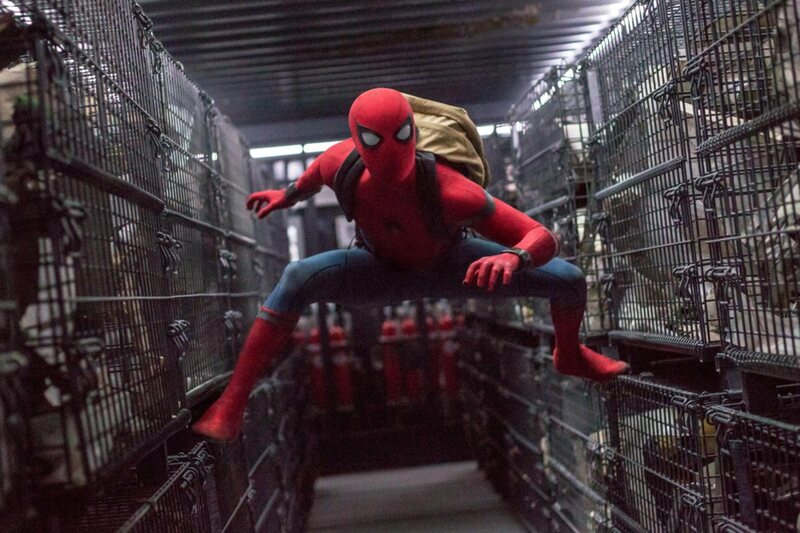 Of all the Spider-man movies I have watched till date, Spider-man: Homecoming certainly cements its place as the most refreshingly entertaining one. Young actor Tom Holland who stole the show with his cameo in Captain America: Civil War returns for a full fledged role that is replete with action, comedy and teenage romance. I have decided to list out the highs and lows of the movie instead of writing a conventional movie review. Tom Holland– This casting is near perfect. This young gun has it all. Style, talent, aura, versatility…you name it and he has it yet he is your everyday guy. Tom even in his superhero avatar is not someone who just bull dozes opponents. He feels pains. He bleeds. And that makes him more real. 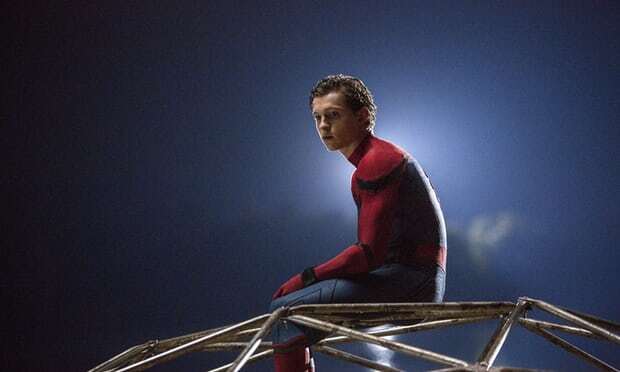 The 21-year-old British actor convincingly portrays the varied emotions experienced by both Peter Parker and Spider-man. His comic timing is delightful. His goofiness is adorable. His effervescent teenage charm will suffice to hold your attention for the entire duration of the film. He holds his own while sharing screen space with Robert Downey Jr. and Michael Keaton. The scene where he lifts himself up from underneath a pile of concrete rubble is the time when you sit up and say yes and clap. The only flaw in his character was the love story that blossomed slightly between himself and Liz(Laura Harrier). It could have been more properly etched and perhaps someone matching Tom’s real age and height could have been chosen instead of Liz. Although she played a senior to Tom in the film, somehow she looked way too old for him making them look like a mismatched couple to me. Plot: Thankfully, the film doesn’t delve into Spider-man’s superhuman radioactive antecedents. It gets straight to the point from the very outset. 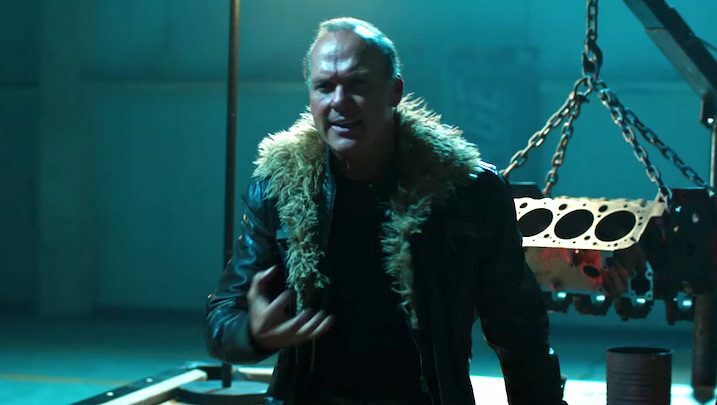 The movie opens with a sequence that shows the U.S. Department of Damage Control throwing Adrian Toomes(Michael Keaton) and associates out of business. Toomes however is not ready to let go the Chitauri technology collected from the battle of New York and uses it to create high tech weapons. 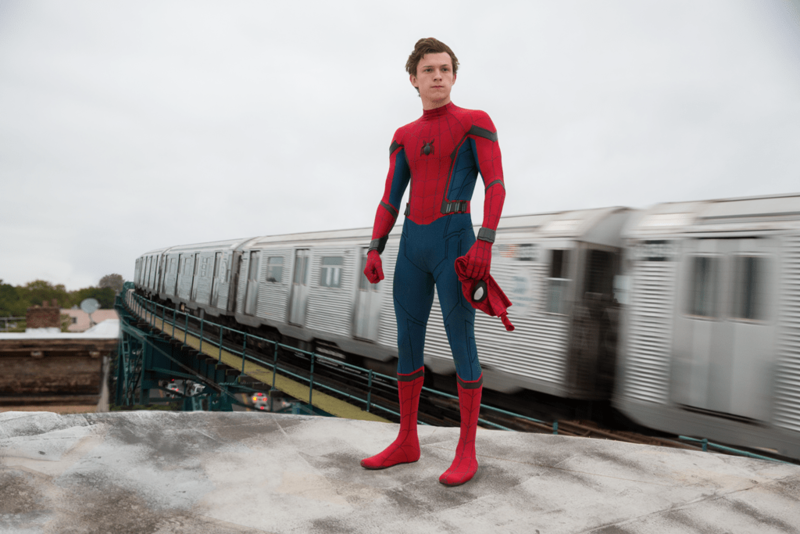 Enter Peter Parker(Tom) next, the carefree teenager who is fascinated by his special powers and wants to use them to get rid of evil despite Tony Stark’s raging disapproval who feels Peter is not quite ready to be an Avenger yet. Ofcourse, Tom doesn’t bother to listen and continues playing the local Robinhood which is when he discovers Toomes’ criminal designs. The narrative then follows the pattern of good taking on the evil but what turns the plot around is the jaw dropping suspense that unravels itself in the quietest manner possible something that even a Sherlock Holmes couldn’t have guessed. VFX – Absolutely first class. Need I say anything more. Supporting starcast – While most of them are good, there were two noteworthy performances- Michael Keaton, ofcourse who plays the baddie and Jacob Batalon who plays Tom’s best friend. Michael was his usual top class self making sure his overbearing villainy gave the teenage Spidey some tough watchworthy moments on screen. Jacob who debuts with this film sank well into his role as the close confidante of Peter who knows his Spider-man secret. Just a couple. At a few places, I did feel the movie dipping in pace ever so slightly. I was hoping to see a few more dramatic action sequences right at the start but the movie takes its time to get into gear. The second one being as I mentioned above the romance between Peter and Liz. The casting could have been better in case of Liz and the romance a little more well-written. Verdict: A definite Go. This one is worth your time and money. Enjoy the fabulous 3D write this weekend. Oh yes, don’t miss the post credit scene. That one is epic.